Space is big . So much so we can't even understand it. If we attempt to draw the Solar System to scale on a piece of paper, planets would need to be microscopic! Here you have a bunch of cool videos and websites on this subject. I guarantee you will love it! Watch some guys try to solve the "draw the Solar System to scale" problem by using cars in the desert. Still don't get it? In this website you can see how big the Solar System would be if the Moon were one pixel. Also, if you click at the low right icon, you can conveniently travel at the speed of light—which turns out to be tediously slow, since it will take over 8 minutes to get from the Sun to the Earth. The website ends at Pluto's orbit, since Kuiper and Oort objects are even much, much further away. ​Space is big, and viruses are small. This wonderful website allows you to travel from the smallest things we know to the vastness of space. Look out for the "distance from A to B" labels. Perhaps you would rather have your own examples—where would be the Earth if the Sun were 1 cm? This website will give you the size and distance of your model planets. As a bonus, it tells you how fast ths speed of light would be at that scale, as well as the size and distance to some stars and the centre of the galaxy. By the way: the Earth would be 1 m away. 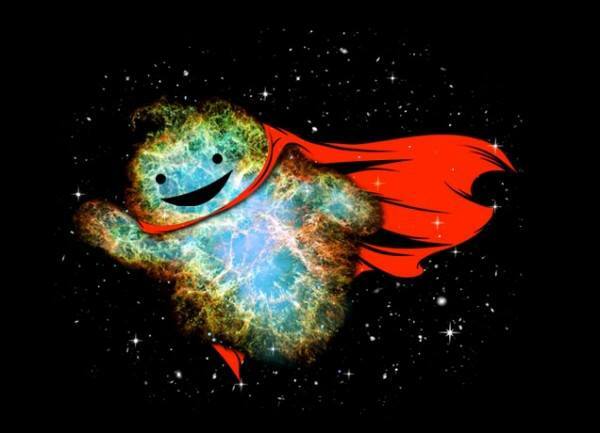 And here you have a nice supernova, because it was too adorable to delete (it was here as provisional content).